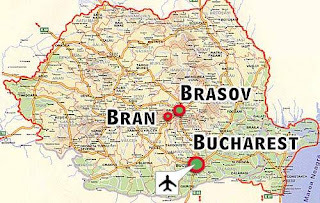 Vlad Tepes, Bran Castle and Dracula. I found this map a while back and I thought it is interesting that the castle which most people identify Dracula with, the legendary creation of Bram Stoker, is close to one city which Vlad supposedly preformed his worst acts on the Saxons of Transylvania. 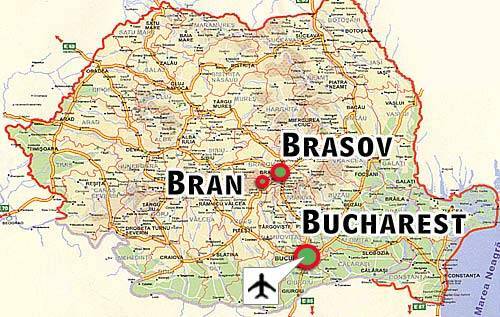 Brasov is one of the major cities in Transylvania, and it is also close to Bran Castle. The castle was used by Bram Stoker was not specifically bran Castle, but was near a mountain pass. Jonathan Harper mentions only one city, Bistritz (it is good to note he used the German name and not the Romanian name Bistrita) in the beginning of the book Dracula. Still what is true is that the boyars did not support him and had had his father and older brother murdered.